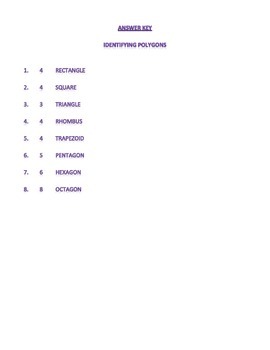 This is a worksheet on identifying the number of sides and name of the illustrated polygons. 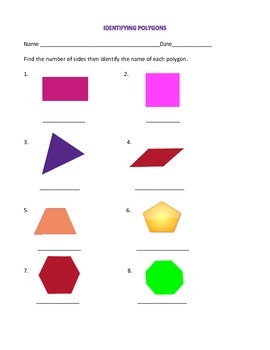 It could be used for review, assessment and homework. Thanks for downloading and leaving a feedback.